Home Events & Fundraising Raffle to Celebrate 25 Years of the Wine Festival! Raffle to Celebrate 25 Years of the Wine Festival! A minor MAY purchase a ticket if they are 13 years of age or older, or accompanied by an adult who is apparently the minor’s parent or guardian and who consents to the sale. Sales are NOT permitted outside British Columbia UNLESS the non-resident purchases the ticket and the entire payment transaction takes place while the person is in British Columbia. 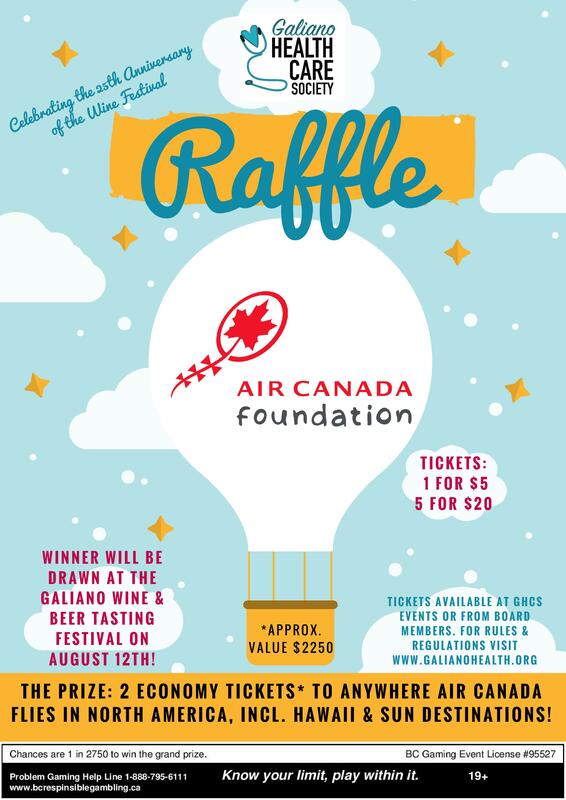 25th Annual Galiano Wine & Beer Tasting Festival!